Mah-Jong Patience is a traditional Chinese pastime played with the tiles of that game. The tiles are piled up in pyramid fashion and the object of the game is to find matching pairs. When you match them they disappear leaving you to hunt for more pairs, and so it continues until all the tiles disappear. It may sound easy, but you need to look ahead many moves to get out, even though we have provided many 'helps' for you such as - peek under a tile - swap tiles - shift - back a move (up to five moves) - start the game over again. 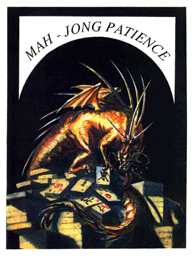 An annoying tune will accompany you on the journey into addiction, and the grand master will speak to you, to encourage you along. If it all sounds too easy you are obviously a candidate for lifetime of pleasure from this game. 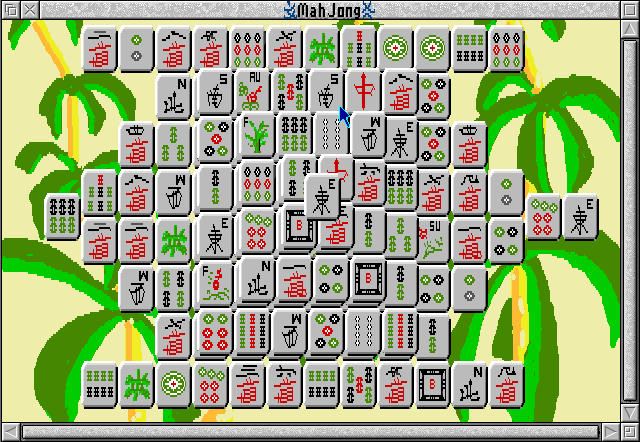 As SHANGHAI™ this game has sold hundreds of thousands of copies worldwide. Good luck and happy matching!